The Policy Knowledge Exchange Network gathers and shares information relating to European and global policy developments. Representatives and experts from our members track, evaluate and constructively participate in European initiatives, programmes and policies within the sphere of our purpose and expertise. 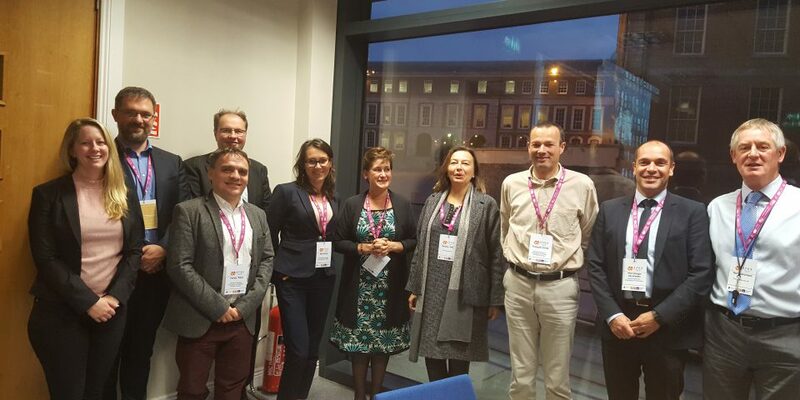 The Policy Knowledge Exchange Network and its specialist working groups are a central pillar of our EU Affairs and Representation Strategy which in turn is essential in the delivery of the Vision and purpose of the EuroGeographics association. Monitoring and engaging policy topics relevant for stimulation of cooperation, development and capacity buildings of EG members through activities facilitating transfer of knowledge and expertise, joint project and searching for financing opportunities. Following developments in the EG member states. The group is chaired by Dominik Kopczewski, EuroGeographics. The Policy KEN is open to all EuroGeographics members. If your organisation would like to be actively involved or become a corresponding member of the PolKEN, please contact Dominik Kopczewski, EuroGeographics.